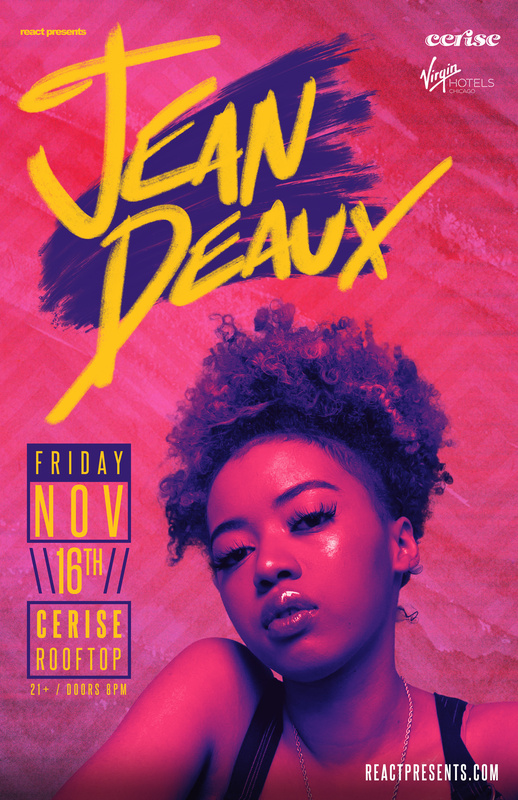 Consciously evasive of being confined to one style, 23-year-old Jean Deaux made a name for herself outside her native Chicago during the mid-2010s with output ranging from R&B-oriented pop to low-key house, along with a wide variety of cross-genre guest appearances. The rapper, singer, and songwriter was involved with acting and poetry, then made major inroads as a musical artist starting in the early 2010s. SoundCloud uploads and featured appearances on tracks by the likes of Isaiah Rashad, Mick Jenkins, Saba, Mykki Blanco, and Smino led to brief support from major-label Interscope via Downtown Records. Deaux issued the spaced-out house track "Father Time" through the arrangement in 2017, though she reverted to independent releases later that year with "Wikipedia," a dreamy number somewhere between Little Dragon and Erykah Badu. The following year, Deaux's output continued apace with more singles, highlighted by "Energy”, “Back 2 You”, and “Due To Me”. The Chicago artist unveiled her first full body of work in October of 2018, KRASH--a stellar debut showcasing Deaux’s dynamic voice, songwriting abilities, and transporting sound.